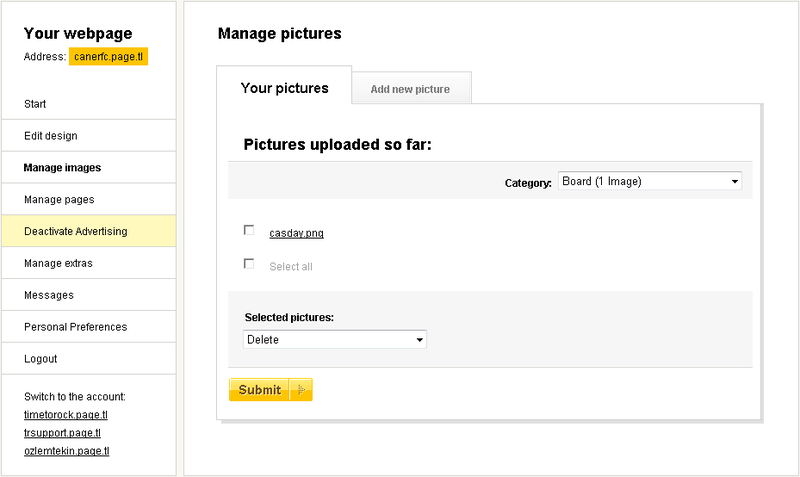 You can manage images in the manage images page! 1. What you can do in the 'Your pictures' section? Howto? 2. How to upload a new image? Howto? 3. The possible reasons why you can NOT upload an image? Howto? 4. The possible reasons why your headers repeat or your gifs do NOT work? Howto? 5. How many pictures you can upload at once? Howto? 6. How you can learn free space remaining for pictures? Howto?